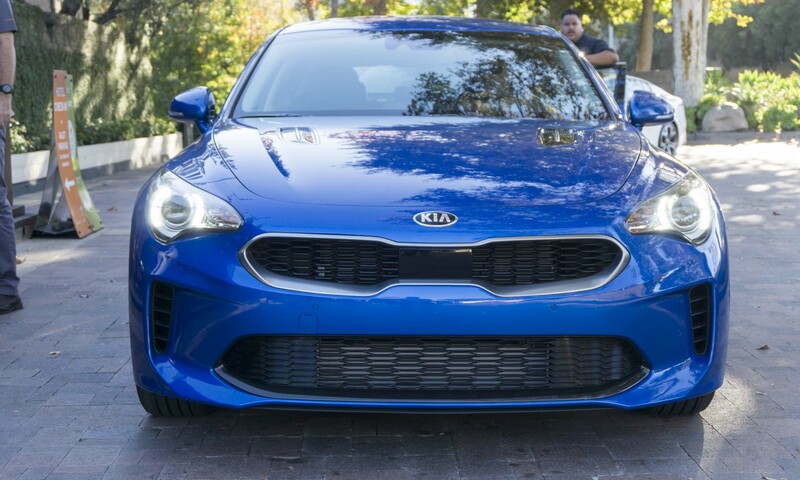 Kia has been hyping the new Stinger since its debut a year ago at the North American International Auto Show in Detroit, so expectations were high when we traveled to California for some time behind the wheel. It can be risky business for a car company to talk up a new car so much before a press event, but in the case of the Stinger all the praise was warranted. With beautiful styling, an attractive interior and excellent performance, the Stinger lives up to the hype. 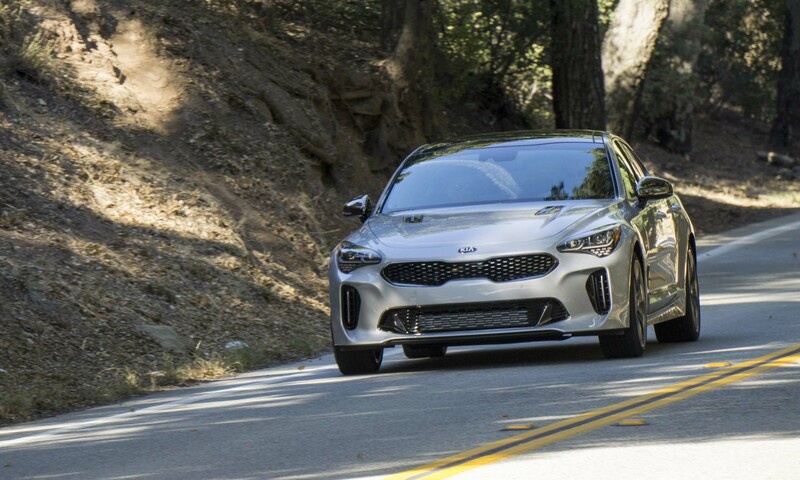 “Unlike any Kia that has come before it, the Stinger really is a dream car for us and after years of commitment and hard work from a passionate group of designers, engineers and executives around the world, that dream is now a reality,” said Orth Hedrick, vice president of product planning at Kia Motors America. 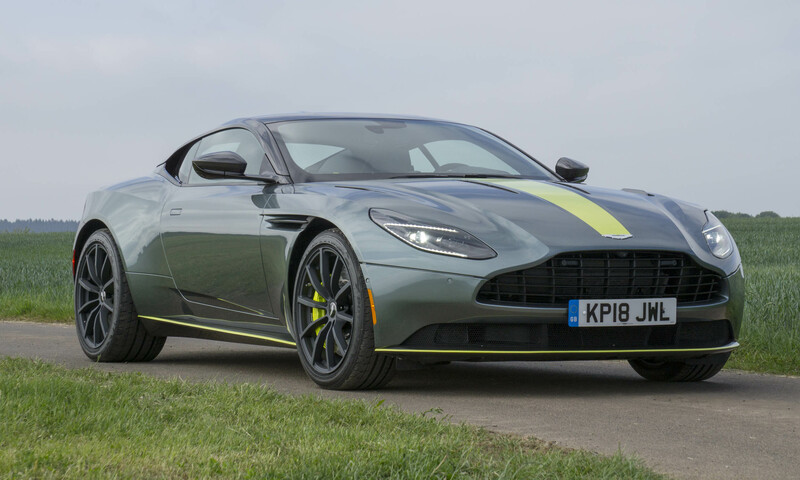 “From its GT Concept-car origins to its tuning and refining on the legendary Nürburgring circuit, no detail was too small to be obsessed over, and the result is simply stunning,” Hedrick noted. Based on the GT Concept shown at the 2011 Frankfurt Motor Show, the Stinger retains many styling cues introduced on the show car. 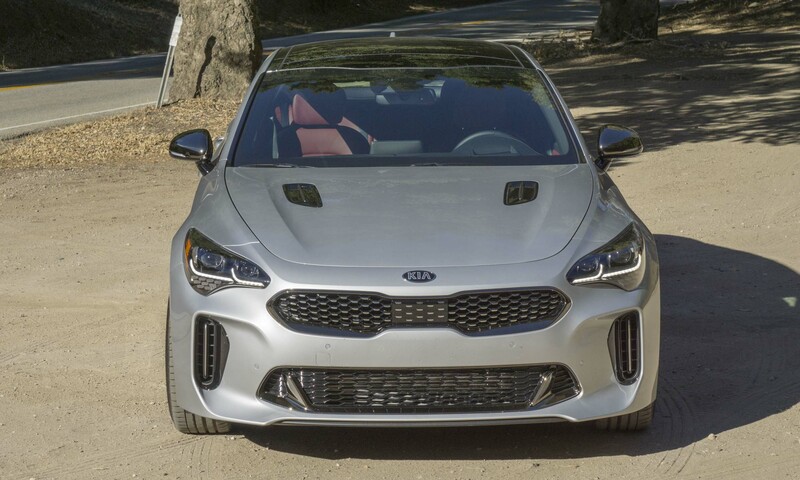 Behind the signature Kia grille, Stinger makes a bold statement with a wide stance, short front overhangs, a steeply-raked windshield, a vented hood, LED headlights and prominent fenders. 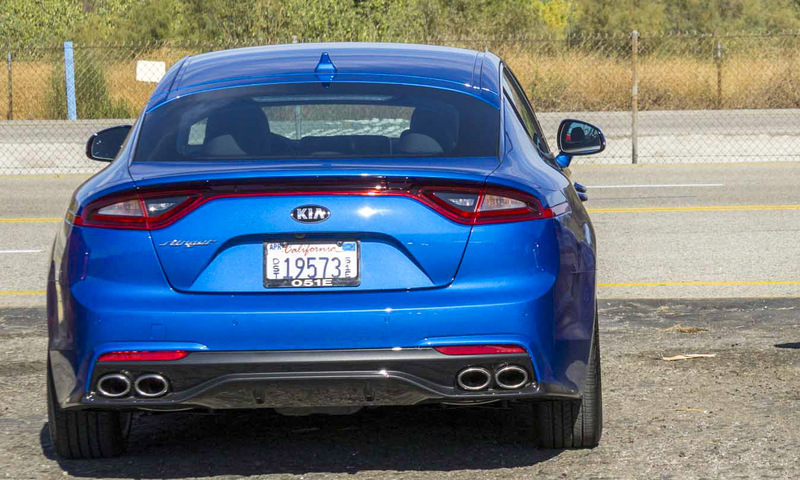 The sleek lines of this hatchback set it apart from other Kia models, while quad oval exhaust pipes give clear indication that Stinger is a performance car. 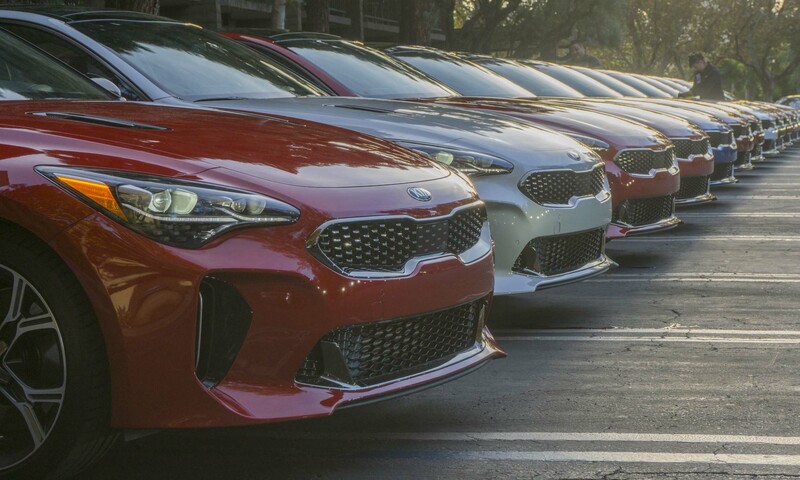 The newest model in the Kia lineup is available as Stinger or Stinger GT. 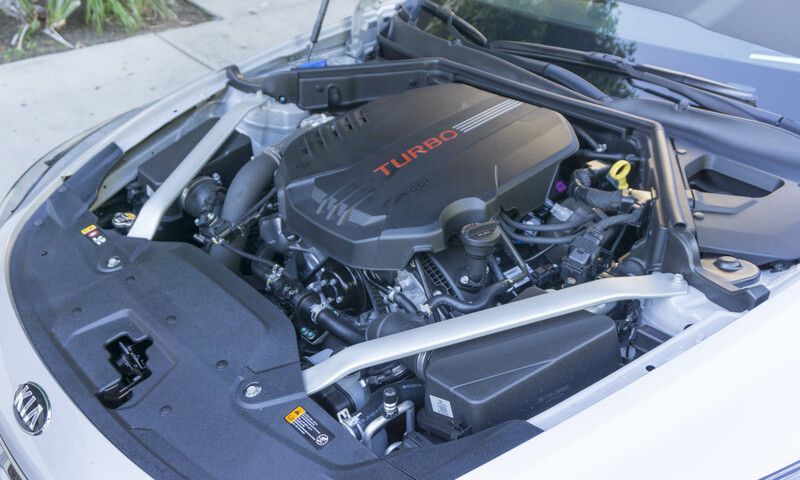 The primary difference between these two is the powerplant — 4-cylinder versus V6 — and each has a variety of options and packages available. 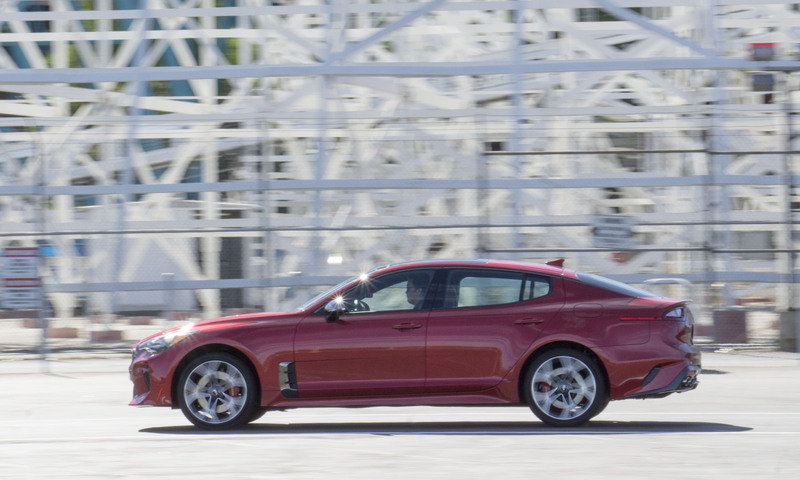 Stinger has standard rear-wheel drive; however, AWD can be added to any trim for an additional $2,200. 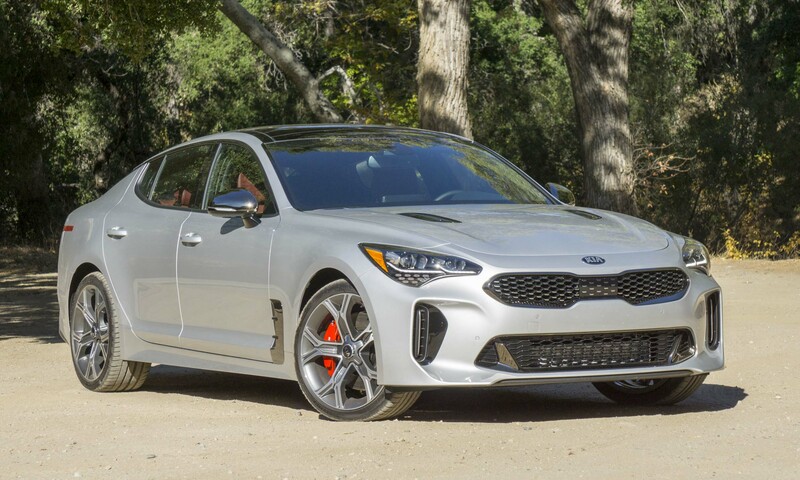 With a base price of $31,900, the Kia Stinger comes well equipped with leather trim, power-adjustable heated front seats, dual-zone climate control, a heated steering wheel, paddle shifters, a 7-inch touchscreen display, Apple CarPlay, Android Auto and a premium audio system. 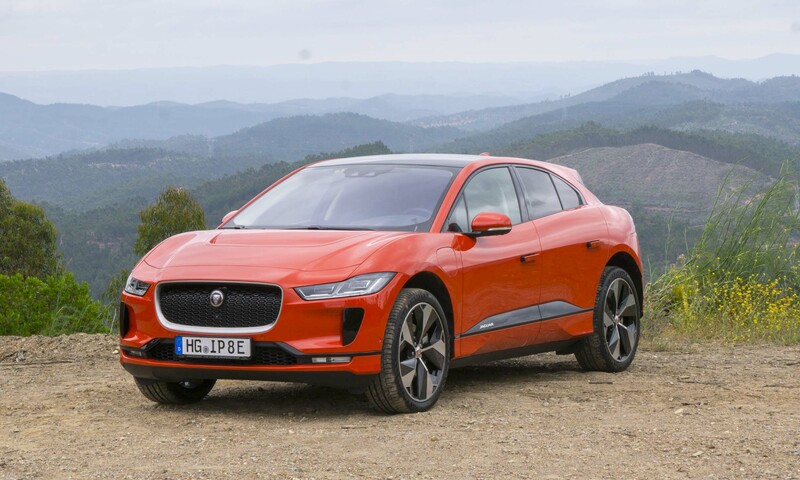 Additional standard features include a rearview camera, front and rear USB outlets, LED running lights, a black and chrome grille, 18-inch alloy wheels and quad exhaust outlets. Priced at $37,100, the Stinger Premium upgrades the base Stinger with LED projection headlights, LED rear turn signals, an 8-inch touchscreen display with navigation, a power sunroof, and a 720-watt Harmon Kardon audio system with 15 speakers and quantum-logic surround sound. The GT is the entry-level V6-powered Stinger with a base price of $38,350. 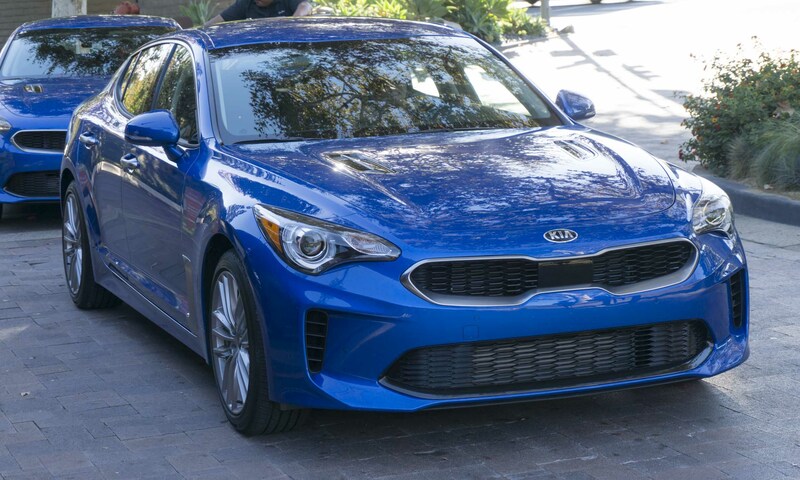 The Stinger GT stands out from 4-cylinder variants with a unique grille, black-chrome side vents, black-chrome mirrors with integrated turn signals, high-gloss hood vents, a unique rear bumper with side accents and diffuser, and 19-inch alloy wheels. 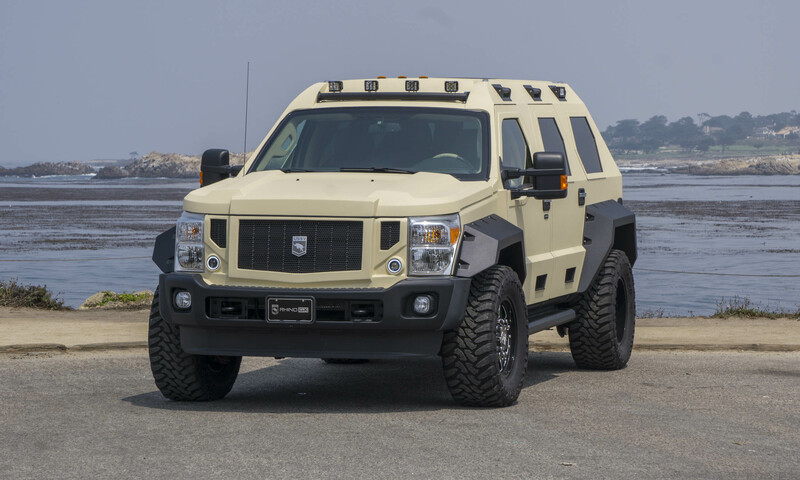 Other standard equipment includes leather trim, power front seats, aluminum pedals and door sills, a flat- bottom steering wheel, a 7-inch touchscreen display, a 9-speaker audio system and a 180-mph speedometer. With a starting price of $43,250, the GT1 supplements the GT with a power moonroof, a 7-inch color display in the gauge cluster with an integrated trip computer, digital gauges including chrono lap timer, an 8-inch touchscreen display, and the premium Harmon Kardon 720-watt audio system. The top trim in the Stinger lineup, the GT2 price starts at $49,200. Upgrades over the GT1 include a shift-by-wire gear selector, premium Nappa leather trim, a 16-way power driver seat, ventilated front seats and a head-up display. The GT2 also has standard advanced safety features such as Forward Collision Avoidance Assistance, Front Collision Warning System, Lane Keep Assist, Lane Departure Warning, Blind Spot warning with Lane Change Assist, Rear Cross Traffic Collision Warning and smart cruise control with stop and go. These safety features are available for additional cost on all other Stinger trims. The Stinger and Stinger Premium are powered by a 2.0-liter twin-scroll turbocharged 4-cyllinder engine that produces 255 horsepower and 260 lb-ft of torque. Fuel economy is rated at 22 mpg city / 29 mpg highway / 25 mpg combined. 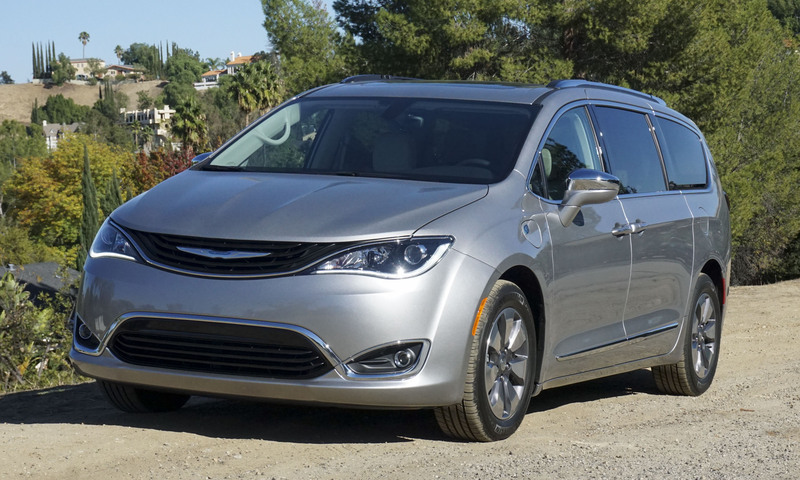 All-wheel drive adds about 180 pounds, which drops fuel numbers to 21 / 29 / 24, respectively. 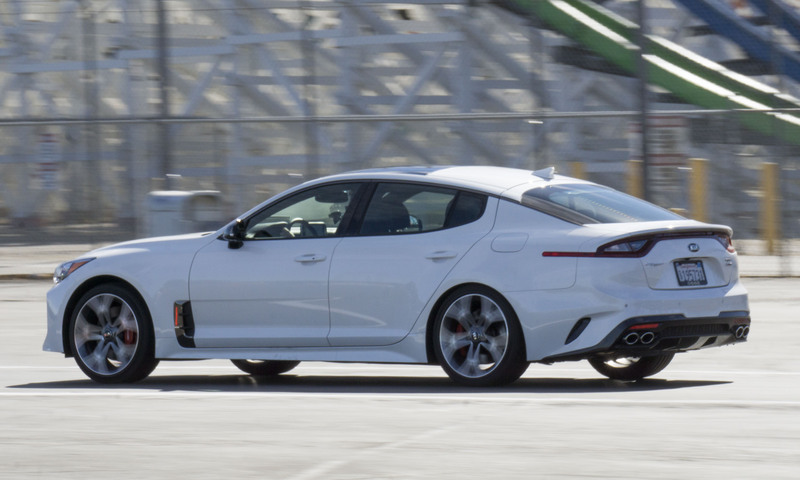 Kia reports that the 4-cylinder-powered Stinger can reach 60 mph in just under 6 seconds. Powering the Stinger GT is a 3.3-liter twin-turbo V6 engine that generates a plentiful 365 horsepower and 376 lb-ft of torque. 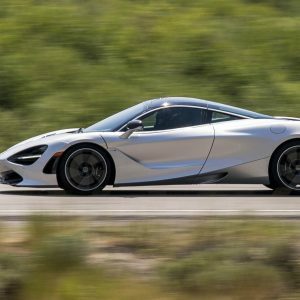 The GT weighs in about 200 pounds more than the 4-cylinder versions, and is rated at 19 mpg city / 25 mpg highway / 21 mpg combined. The twin-turbo V6 generates enough power for the Stinger GT to sprint to 60 mph in an impressive 4.7 seconds and achieve a top speed of 167 mph. In our drive we saw 21 mpg after some rather spirited driving, so these numbers seem to be spot-on. 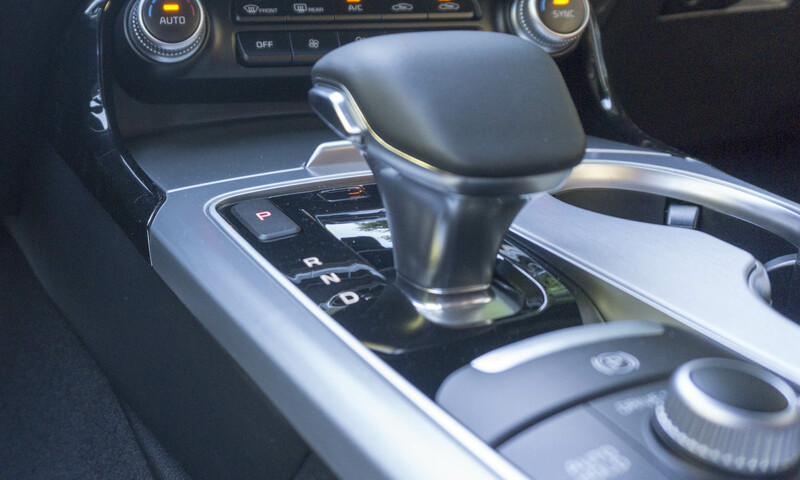 Both powerplants get teamed with an 8-speed automatic transmission that can be left to shift on its own or actuated via paddle shifters on the steering column. 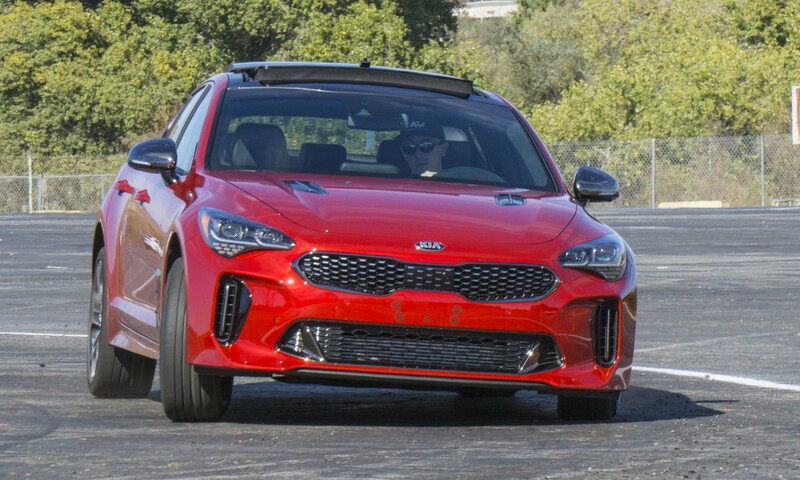 All trims are available with Kia’s dynamic torque vectoring all-wheel drive system that can send up to 50 percent of available power to the front wheels when needed, but otherwise has a rear-wheel-drive bias for sporting performance. 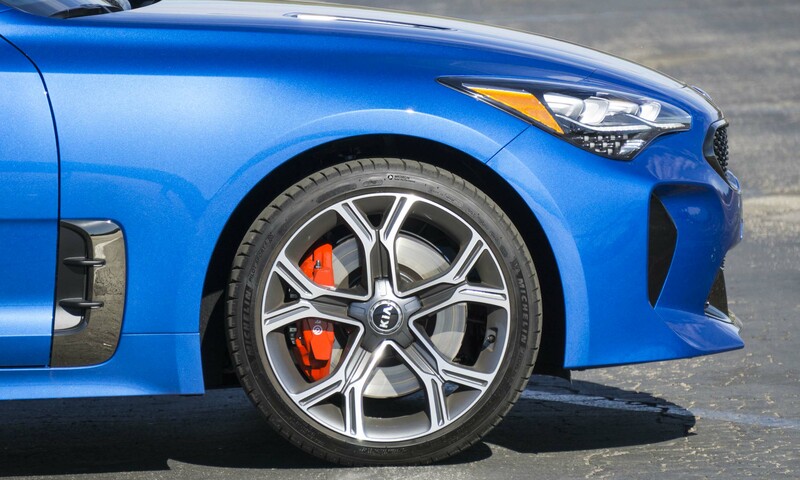 The Stinger GT has excellent stopping power courtesy of Brembo brakes with vented discs and 4-piston calipers up front, 2-piston on the rear. The non-GT Stingers get slightly smaller binders with vented front discs. Stinger possesses multiple driver-selectable modes that adjust the car’s driving characteristics. 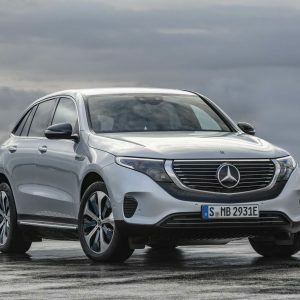 Modes are Smart, Eco, Comfort, Sport and Custom — these settings adjust suspension, steering, throttle response, transmission shifting, all-wheel drive and stability control. The adjustments most obvious to drivers will be throttle response and shifting — both of which become much more aggressive in Sport mode. Even the base-level Stinger feels like a high-end car on the inside. During our recent press drive we spent most of our time in the top-level GT2 with Nappa leather trim, but all trims have big, comfortable front seats with side and thigh bolsters that support without being too snug. The flat-bottom steering wheel on the GT adds to its sporty styling. 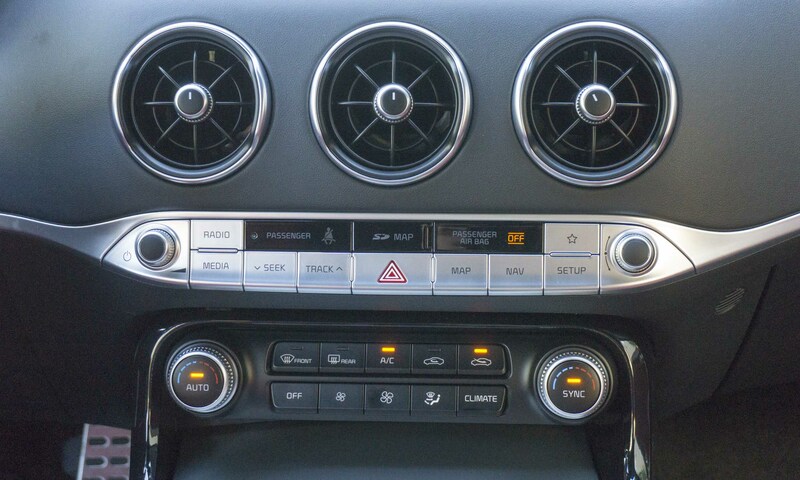 Like other Kias we’ve driven, the Stinger’s controls are easy to use, with both hard-button and touchscreen access. This includes volume and tuning knobs as well as direct access to navigation, media and climate controls. And yet the design doesn’t look cluttered at all — in fact, it is quite clean and simple. We like the metallic trim piece that spans the dashboard, incorporating control buttons in the same color for a nicely integrated look. The only item that doesn’t seem quite as integrated, the display screen sticks up from the top of the dashboard. 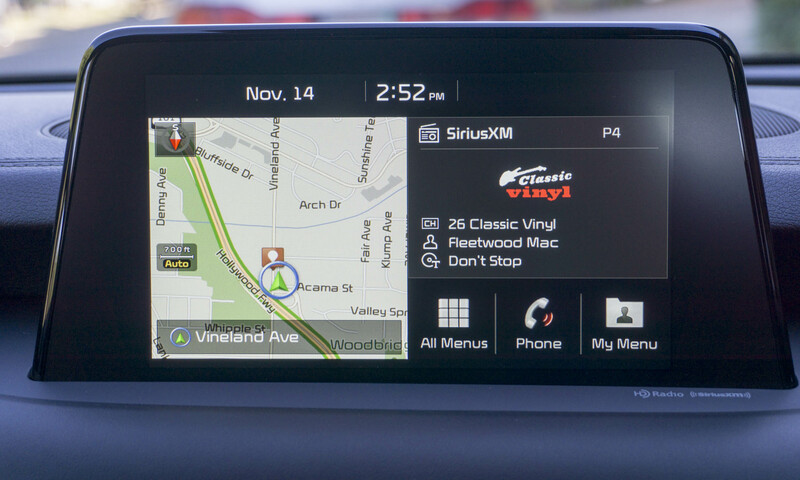 Granted, it mimics the way European sedans tend to emphasize screens (Look, technology!). However, the screen is easy to see, and quite frankly we couldn’t think of a better place for it. 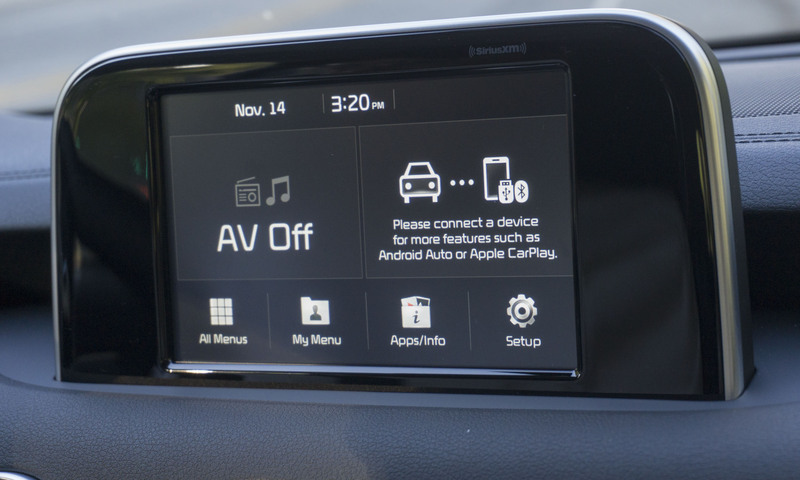 Location aside, the display is easy to navigate; the home screen shows navigation and audio with quick links to other menu items. The Stinger’s center console has plenty of usable space. In addition to two cupholders, there is ample storage beneath the armrest and additional space under the climate controls. 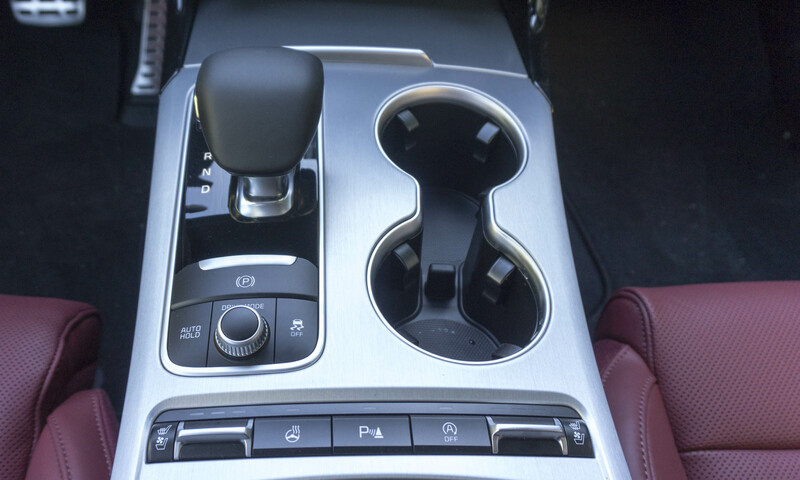 Seat heater/cooler controls are easy to see and activate, as are the heated steering wheel and Drive Mode switch. The screen in the base-level Stinger is a bit smaller than higher-line trims, but it resides in the same-size console so most won’t realize they have the smaller screen. 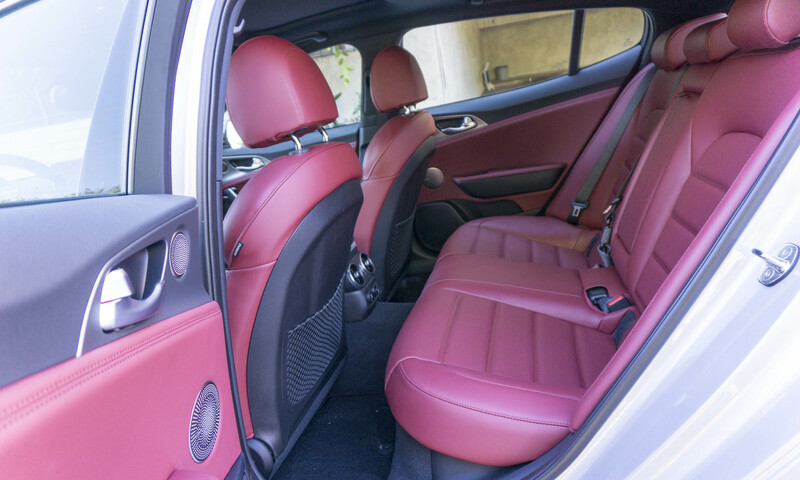 Passengers relegated to the rear seats will not be disappointed — the Stinger’s long wheelbase means there’s plenty of legroom for rear-seat passengers. Not surprisingly, the middle seat footwell has a bit of a hump thanks to the rear driveline, but the spot is certainly usable for short trips. Adjustable rear vents are a nice addition, but there’s only one USB port available in the rear seats. 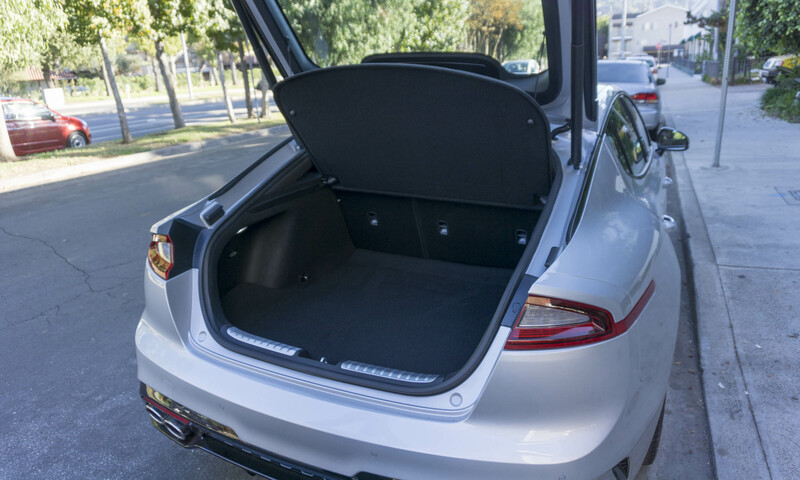 The Stinger’s hatchback design provides a rather spacious cargo area. The wide opening makes for easy loading and unloading, while the integrated cargo cover keeps gear hidden. Rear seats can be folded flat for extra-large cargo items. 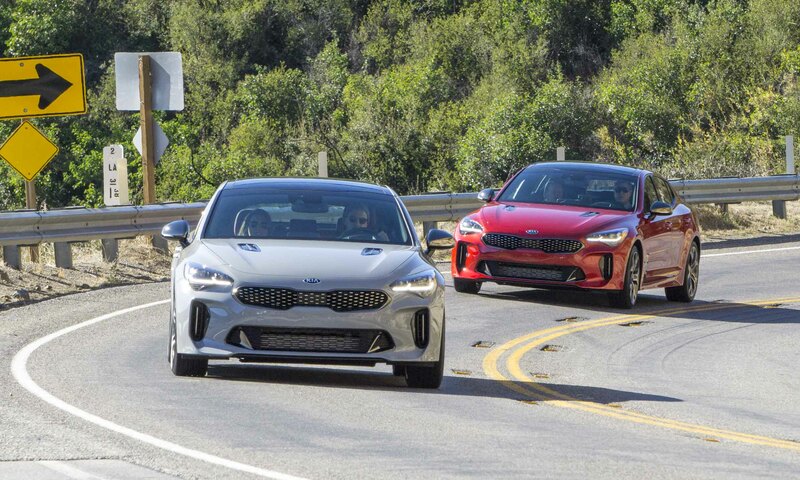 We had the opportunity to test the Stinger GT on a variety of roads, from standard freeways to the twisty tarmac of the Angeles Crest Highway north of Los Angeles, California. As soon as we reached the freeway we put the throttle down and were immediately impressed by strong acceleration. This car can really move, with power coming on very smoothly with quick shifts from the 8-speed automatic. Even from highway speeds, a quick step on the throttle will push occupants back in their seats. Passing on two-lane roads is a breeze, the only concern being that it’s too easy to hit triple digits before a pass gets completed. 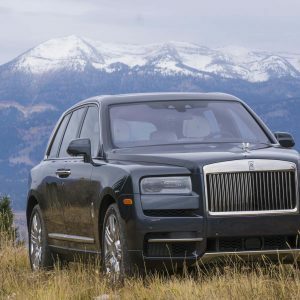 One we hit the Crest Highway we began to understand the hype behind this new sport sedan. 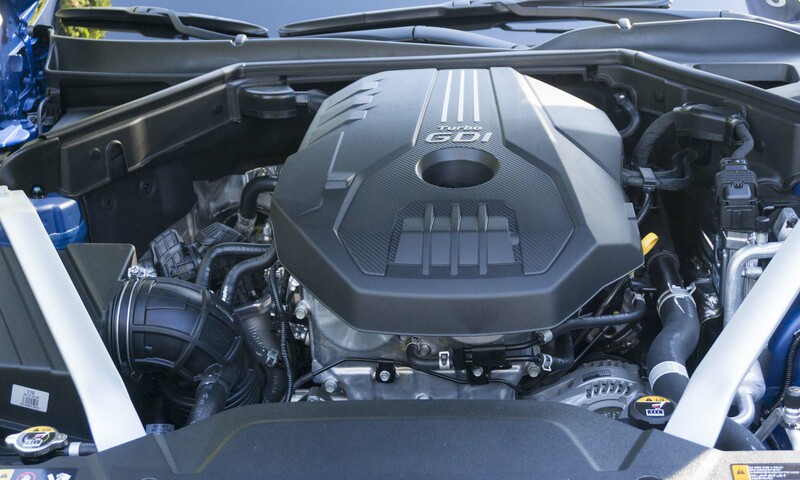 Power is always there when needed, thanks to a quick-shifting transmission that keeps revs high in Sport mode. Although the Stinger is no sports car — it’s simply too big and heavy — it handles fast corners impressively well. The suspension is a bit soft, even in Sport mode, so the Stinger exhibits considerable body lean during hard turns. However, it still feels stable and agile. An important aspect of any sport sedan is consistency; it needs to work as a daily driver as well as it does as a performance car. The Stinger meets these criterion, providing a smooth, quiet, comfortable ride through the city or on the freeway, achieving reasonable fuel economy and possessing plenty of room for additional passengers and cargo. 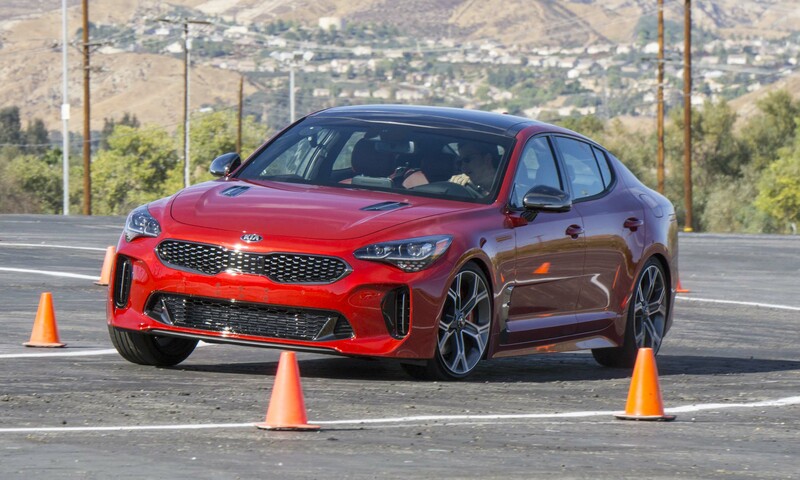 Kia set up an autocross course for members of the auto press to safely test the handling limits of the new Stinger; it was quite enlightening, and great fun. On the first few runs we left the stability control systems on. In tight corners there would be some corrections made by the system, but for the most part it didn’t interfere with the driving experience. However, once these systems were turned off, the large mass of the Stinger made itself more apparent, pushing into corners before regaining grip. That said, the car is balanced and easy to control, so moving through tight corners can be done quickly with as much or as little drama as wanted, meaning there was plenty of intentional sliding and drifting going on. As mentioned previously, we spent only a short time with the base-level Stinger, and we like that it is still a great looking car, even keeping the sporty-looking quad exhaust outlets. The 255-horsepower engine has to work a bit harder, so power doesn’t come as smoothly as with the V6, but that’s to be expected. For most consumers the base model would be a fine option, although for the additional $6,450 we think the V6 would be worth the cost. 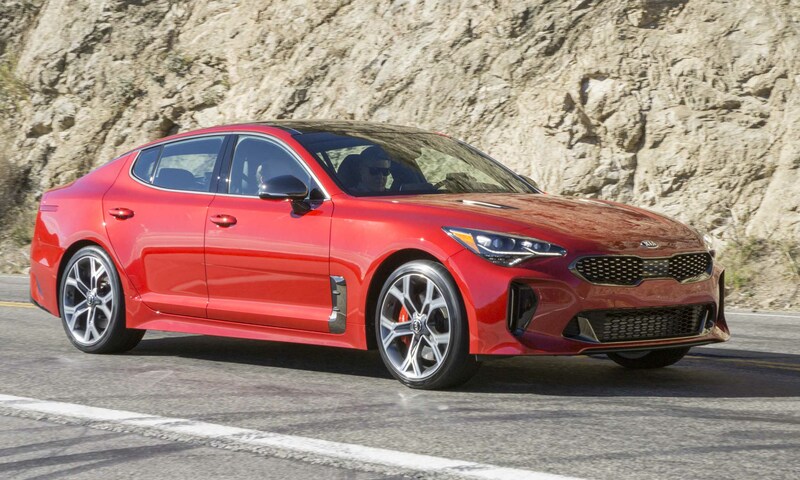 The Stinger is certainly a new type of offering for the Kia brand, and the company calls out the Porsche Panamera, Audi A5 Sportback, BMW 4 Series Gran Coupe and BMW 6 Series Gran Coupe for competitive comparisons. 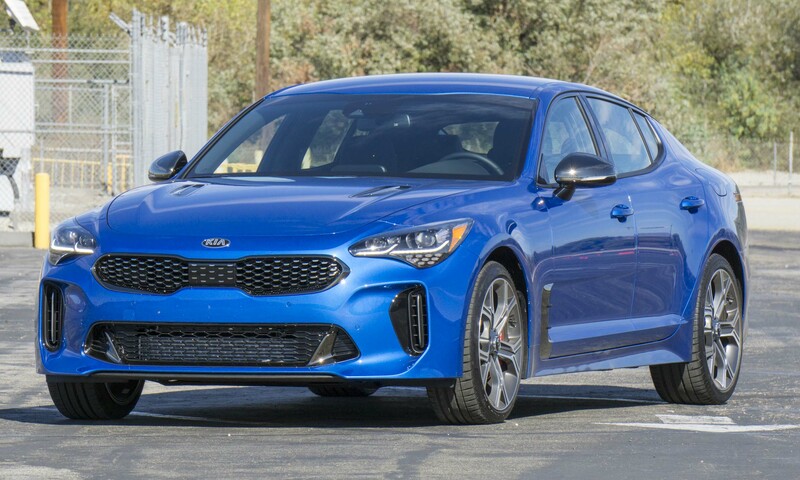 On paper the Stinger is equal or better than these high-end European models regarding interior space, power, acceleration and top speed while being priced dramatically lower; however, it is unlikely that shoppers looking at these models would consider a Kia. They should, but probably won’t. We’ve always loved the idea behind the sport sedan — room for the family without giving up the dream of owning a sports car. But there aren’t many proper sport sedans on the market, and most are rather expensive. 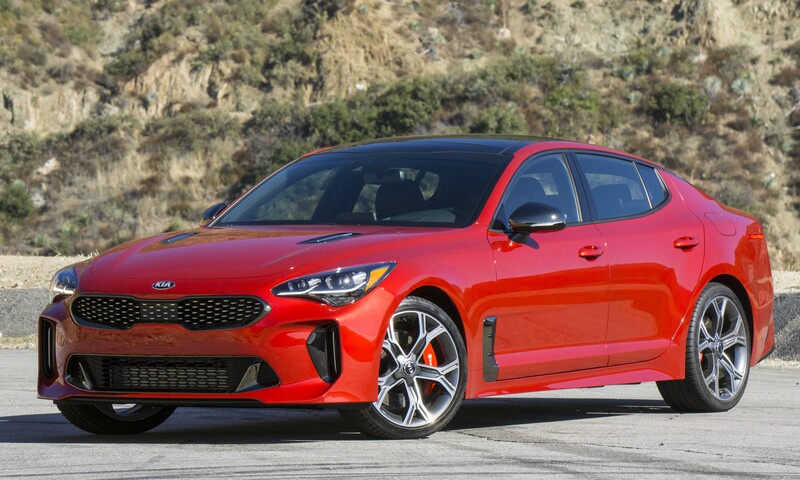 We believe Kia has hit a sweet spot with the new Stinger, ticking all the boxes for a true sport sedan: attractive styling, luxury interior, excellent handling, plenty of power and easy to drive. 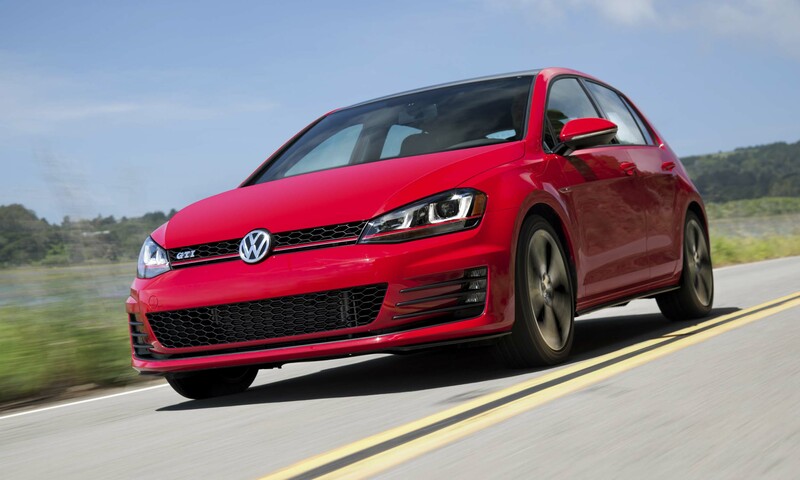 Unlike most other sport sedans, it is available at an affordable price. 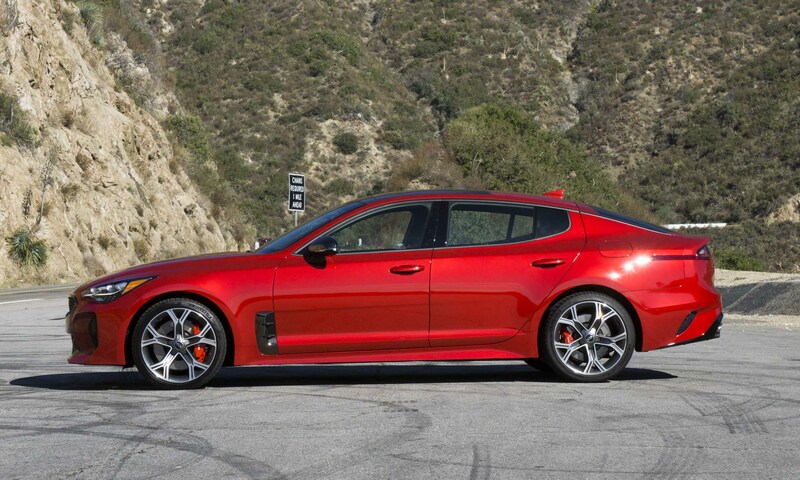 For those who seek a stylish family sedan with excellent performance, the Stinger will certainly meet expectations. Pros: Beautiful styling; excellent performance; great value. Cons: Heavy car; soft suspension; 4-cylinder a bit noisy. 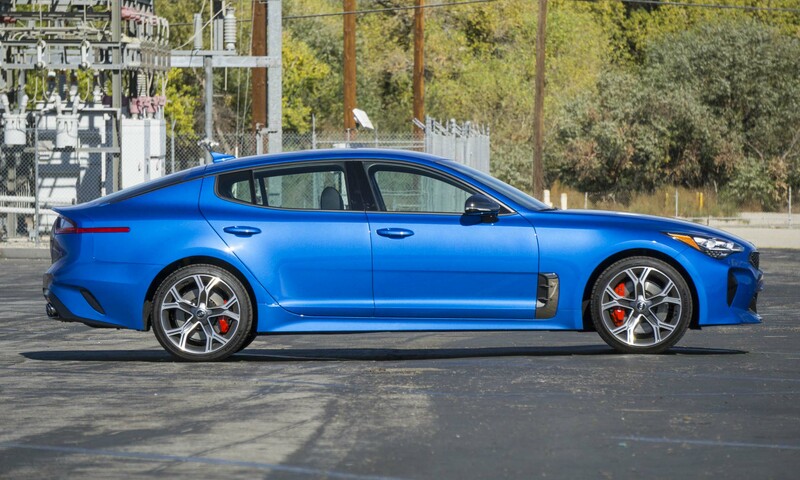 Bottom Line: Kia delivers a proper sports sedan via the brand-new Stinger.